National Tom Sawyer Days, or ‘NTSD’ as it is known to locals, has had a long and proud history of honoring Hannibal’s most beloved son. 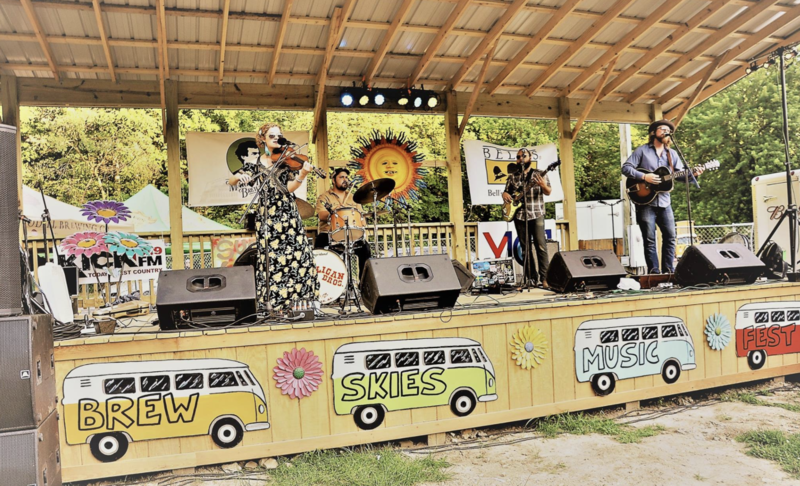 Events are held around the 4th of July with the whole family in mind; whether you participate in the events, such as fencepainting and frog jumping, or you just take in the sights as spectators, you are sure to enjoy this hometown tradition. 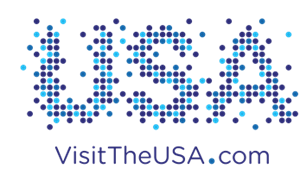 All events are free to watch, and a craft fair in downtown’s Central Park makes a great addition to the festivities and a great opportunity to purchase homemade American products. *To take full advantage of this unique trip, make sure you have interested group members sign their grandchildren up for the State or National Fencepainting competition before you arrive! All other contests can be signed up for that day, but you want to make sure you have your spot in Fencepainting! 11:00 AM Let your group to get the lay of the land with a Hannibal City tour on the Hannibal Trolley or a step-on guide. Both of these services give your group a great 1 hour narrated tour of Hannibal’s many sights, including scenic outlooks, famous landmarks and beautiful historic homes. 12:00 PM Grab lunch at one of Hannibal’s many locally-owned restaurants. 1:30 PM Hop on board the Mark Twain Riverboat. Experience a taste of “Life on the Mississippi” with a one-hour sightseeing cruises, narrated by the riverboat captain. Enjoy the river on deck or inside the air-conditioned cabin. 5:30 PM Head down to National Tom Sawyer Days to catch the State Fencepainting Competition! Make sure to cheer your participants if there are any in your group! 6:30 PM Enjoy dinner and fun at Sawyer’s Creek. Located on the banks of the Mississippi River, this pleasant complex offers fun for the entire family. Play a round of miniature golf, take a ride on the Bumper Boats, and enjoy a variety of children’s activities, including train rides and arcades. Adults will find unique Christmas, home décor and gift items in the Retail Shop and can sample a variety of wines in the Wine Shop. 9:00 AM Mark Twain Cave Tour – Enjoy a tour of the cave that Twain made famous in his book, The Adventures of Tom Sawyer! You’ll hear stories about Missouri’s oldest showcave, including its links to America’s most famous author (Twain) and infamous train robber! (Jesse James!) The cave is flat with no steps. 10:00 AM Let your group take in the fun of National Tom Sawyer Days! Browse through the craft fair, let the grandkids enjoy the carnival and browse downtown. With so much to see and do, there will be something for every age! 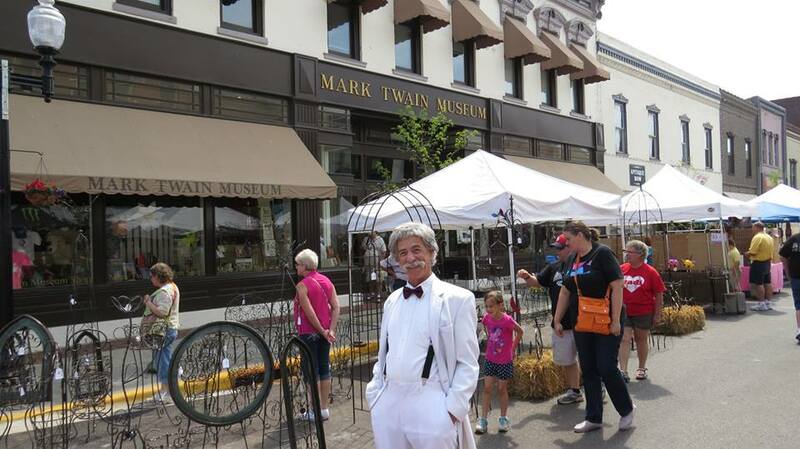 2:00 PM Enjoy a self-guided tour of the Mark Twain Boyhood Home & Museum Properties, allowing your group to explore the roots of Mark Twain’s genius. 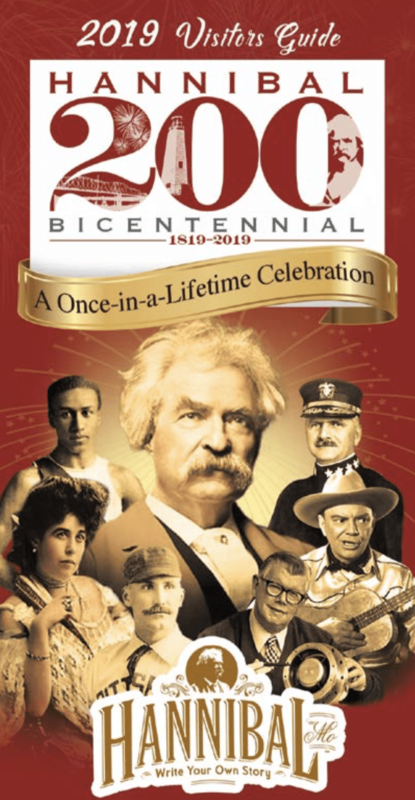 The tour includes seven buildings, most notably Twain’s boyhood home, and the Museum Gallery, which features 15 original Norman Rockwell paintings as well as a wealth of other Twain artifacts. 4:30PM Return to hotel for some R&R or swimming. 6:00 PM If anyone is registered for the National Fencepainting Competition, have the group come to cheer them on! 6:30 PM Grab some dinner and a classic movie at the Star Theater. This restored movie palace is a great place to share stories of childhood, while enjoying a family-friendly movie you can choose before the trip. Return home with lots of memories!